Things have been hopping the past few weeks. 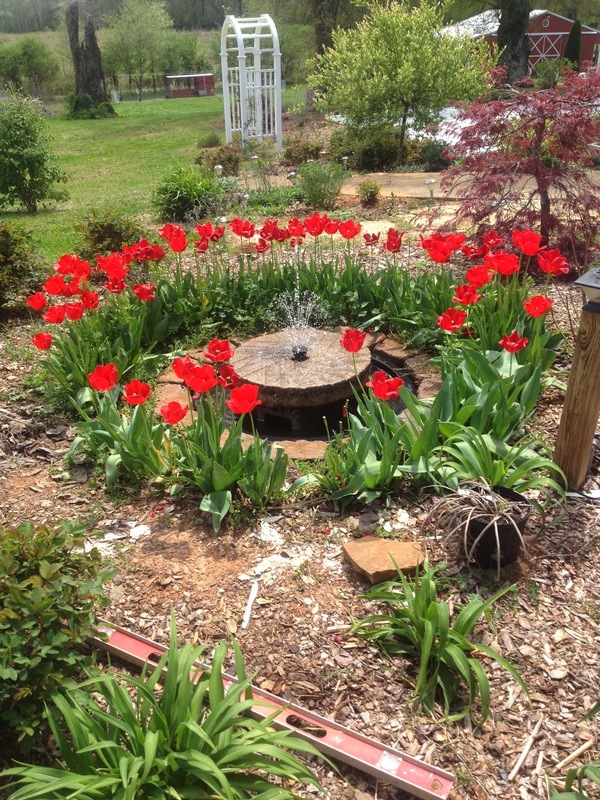 I've been busy pruning back roses, cleaning flower beds, cleaning out and replacing the fountain/water feature, and planting some things in the garden. 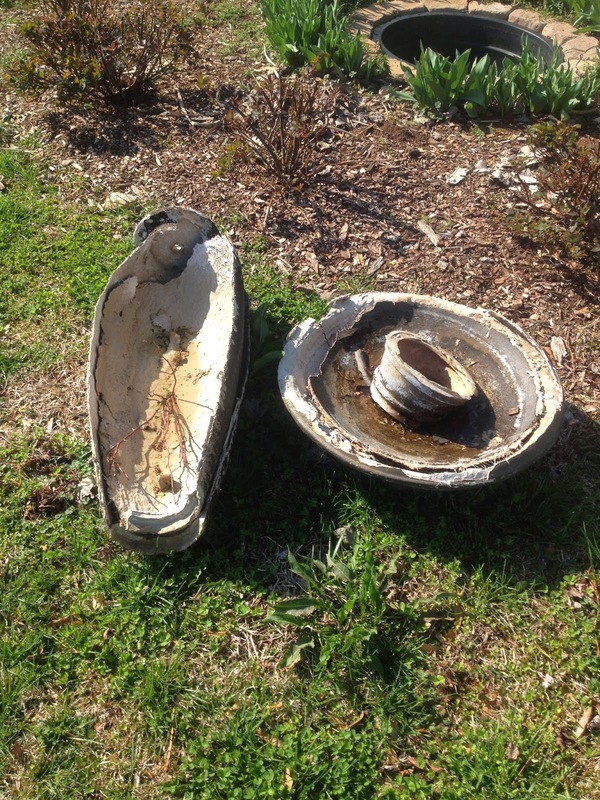 While cleaning the water feature/fountain I discovered that the unusually cold weather we had this winter had taken its toll on the basin and fountain, and it practically fell apart when I removed it for cleaning. In retrospect, I probably should have taken it down and stored it over the winter. After cleaning all the debris from the basin, I decided to put my old millstone back in its place. I am very pleased with how it turned out, and I know that I do not have to worry about it falling apart like the old fountain. 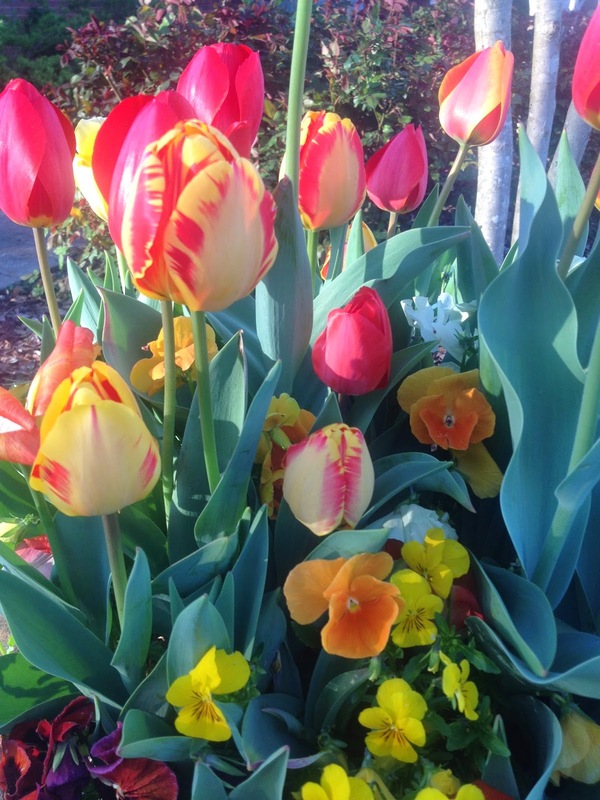 I was also pleased at how well the tulips came back this year. 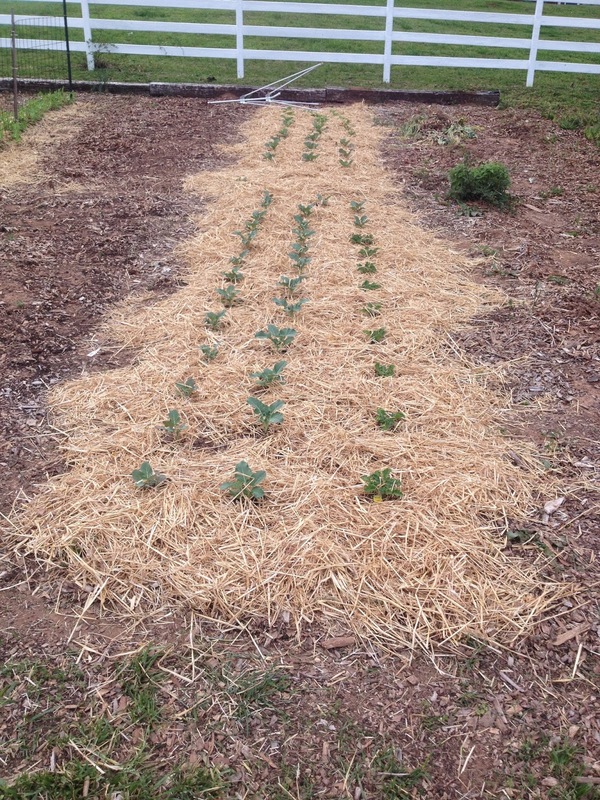 So far I've planted broccoli, kale, cabbages ( regular and savoy), Bok Choy, and sugar snap peas. Before planting, I picked up a load of gin trash and incorporated it the planting bed. After planting, I noticed that most of the plants started during a whitish yellow a few days later. I assumed that the gin trash might be too hot, and had almost written off all of the plants. I replanted again in a new bed and was about to remove the old plants when to my surprise I discovered that the plants had made a remarkable reversible and had started to put out new growth. 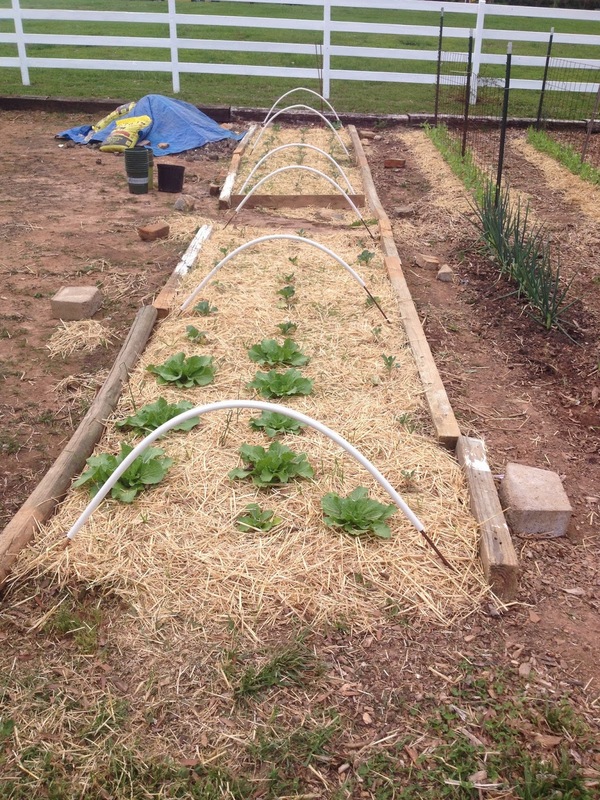 I've put wheat straw around both beds to retard weeds and provide some protection from possible late frosts. Hopefully, the first planting will continue to recover and still be productive. The sugar snaps were planted back in March and are doing well. I had bad luck with my last attempt, so this time I soaked the seeds for about 8 hours before planting and just about every plant germinated. 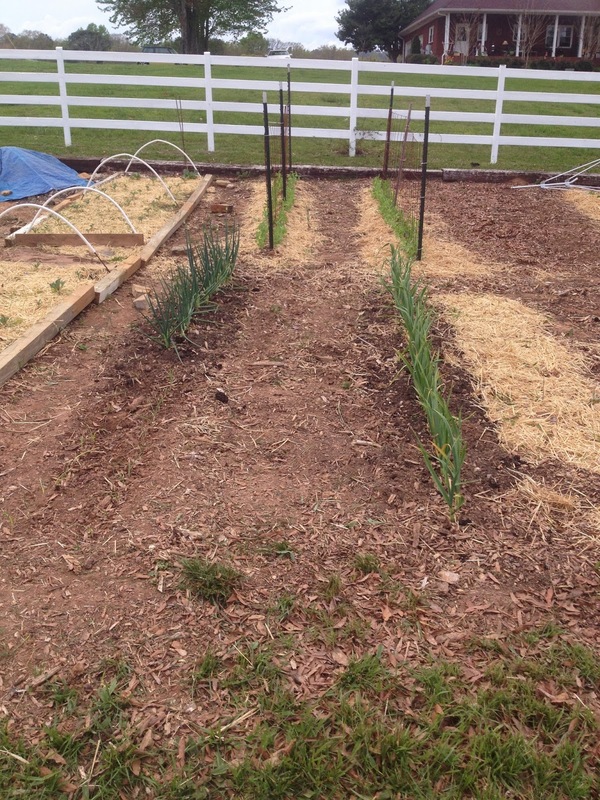 Initial planting and second planting. First planting has make shift hoop tunnel for frosts which did come in handy on one occasion. Snow peas, garlic and onions. 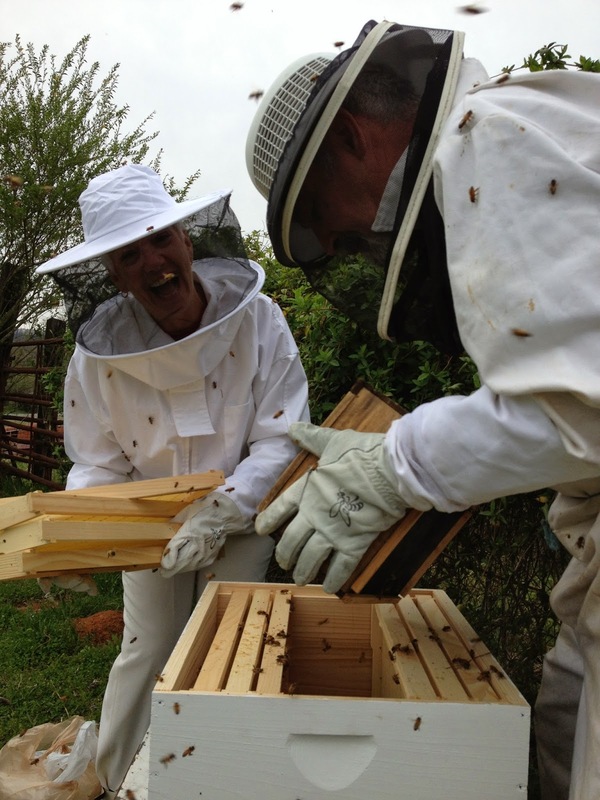 Cynthia and I attended Beginner's Beekeeping Classes for six weeks at the Botanical Gardens, sponsored by the Jefferson County Beekeeper's Association. 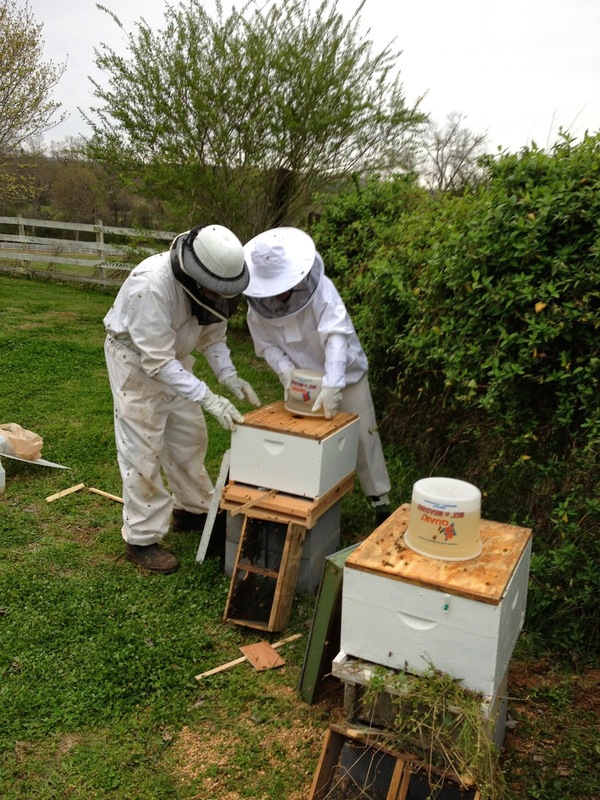 It was a very comprehensive program instructed by some of the best beekeepers in Alabama. We were able to purchase two packages of bees ( a package is three pounds of bees (3500-4000) and a queen) at a discount price which we received about two weeks after our last class. 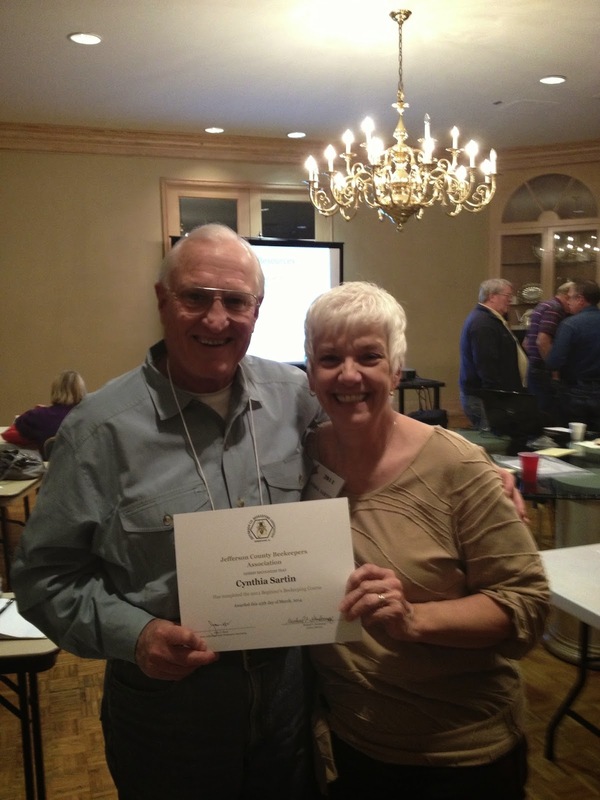 Cynthia with Dr. John Hurst, one of our instructors receiving her certificate. 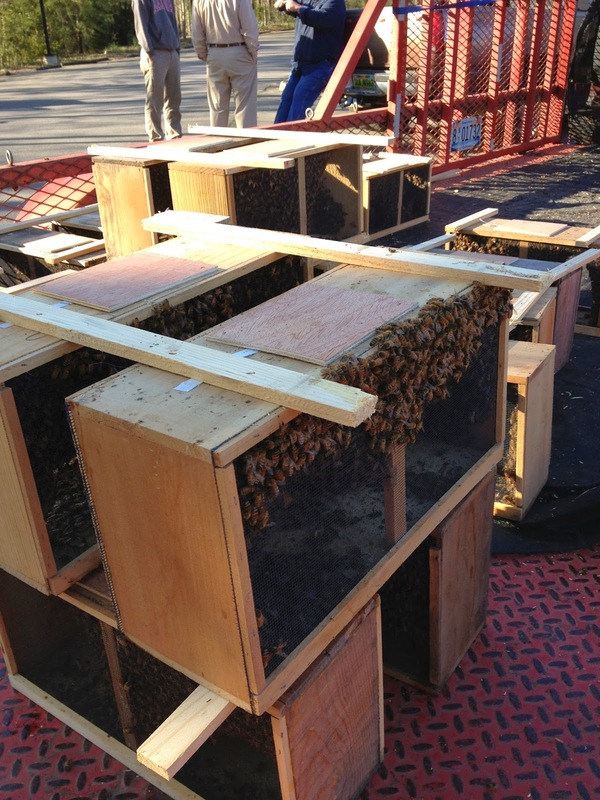 When installing the packages, the queen and several attendants are in a small cage which is plugged with a small cork. This cork is removed and the sugar plug is perforated with a small nail. The worker bees will eat through the sugar plug in 3-4 days releasing the queen. This allows the bees to get used to the queen and accept her. If released too soon, the bees will sometimes reject and kill her. We installed the packages on Saturday and checked again on Tuesday. Both queens had been released. Hopefully they have made their maiden flights and mated with the drones and returned to the hives to begin laying eggs. 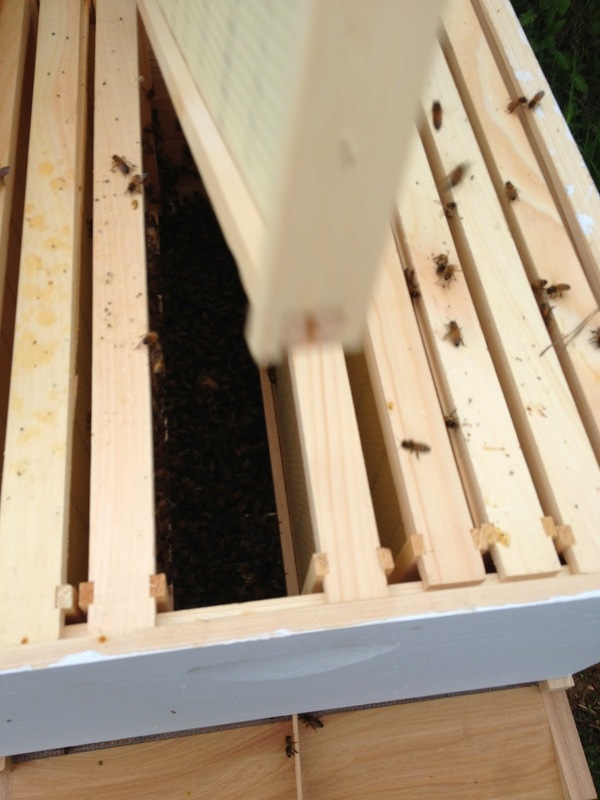 We will check in a week or so and see if any sign of the queen is present and if any brood cells are present. ( Keeping our fingers crossed ). 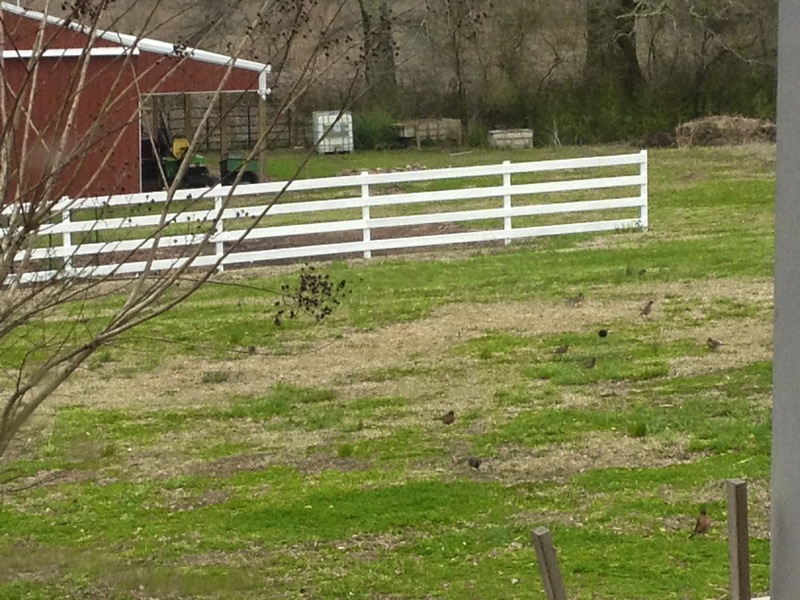 Painted section of fencing in front of vegetable garden. Initially starting painting by hand but ended up purchasing spray painter. Uses a lot more paint but is significantly quicker. One section down, now only 1/4 mile to go. 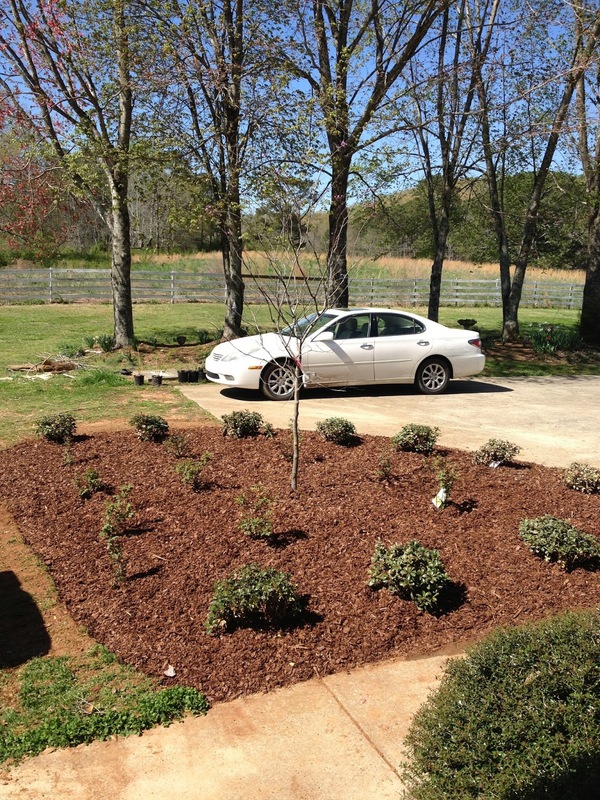 Installed new planting bed adjacent to driveway. Plants include Forest Pansy Redbud tree, Snowcap Indian Hawthorne shrubs, and pink knockout roses. 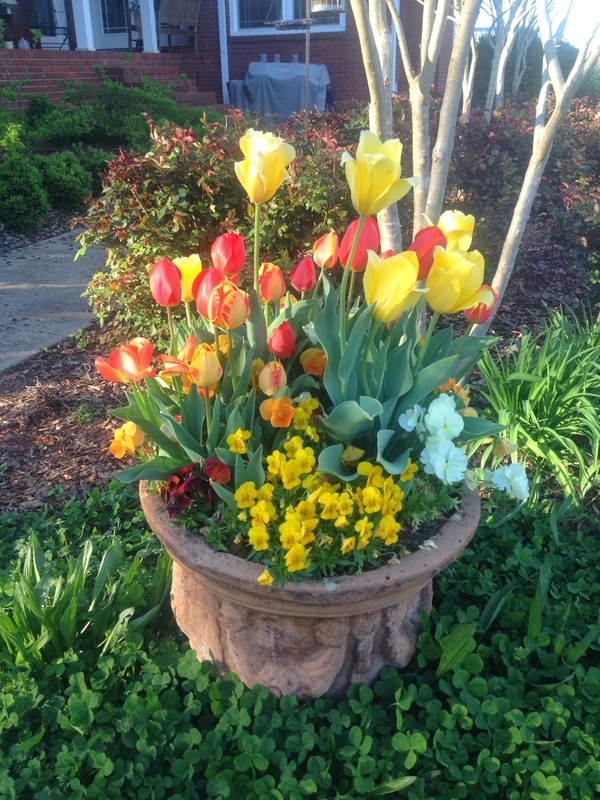 I started this project last fall when I saw a segment on P Allan Smith's Garden Home in which he packed lots of tulips into a large pot in layers. I thought I would give it a try, and I am glad I did. It turned out fantastic! I will do this again this coming fall. In March we said goodbye to one of our old girls, Belle. She was my dad's dog that came to live with us after his death. She was 5 or 6 when she came to live with us and has been a great pet and family member for the past 9 years. She was much loved and will be missed.